Taxibokning is a taxi booking service available throughout Sweden. It provides unbiased taxi booking service and works with well-established taxi operators like Taxi Göteborg and Taxi Stockholm. Close to 100 recognized taxi companies across Sweden are connected to Taxibokning. Its service is designed mainly for organizations who want countrywide coverage, however private individuals can also use it to book a taxi. Customers can book taxis at the website www.taxibokning.se, or through the Taxibokning app (iPhone, Android, Windows Phone). Through its service, Taxibokning allow customers to choose a particular taxi company as per their preference and availability. Customer’s choice of taxi and reservation request is directly notified to the taxi company. The primary goal is to provide the best service with flexible functionality and ease of use. Taxibokning.se constantly evolves with new services that simplifies the process of booking a taxi. The service was developed working closely with travel agencies, hotels, business organizations and taxi companies. Taxibokning reaches out to customers through multiple channels on the web and through apps. Taxibokning decided to make its service available at office & hotel lobbies and restaurants, where it was required the most. Lobbies are the likeliest place where customers would wait and look for a reliable taxi service. To simplify its service, Taxibokning decided to come up with a Lobby Module. The idea was to deploy a kiosk for taxi booking. This entailed deploying the mobile app on a tablet and placing them in lobbies where potential customers could use it for booking a taxi. The challenge involved was leaving a tablet at a public place for use by multiple users. 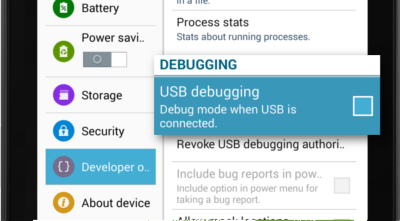 An unattended mobile device is susceptible to misuse and tampering that normally leads to malware attacks and reduced life span of the device. Taxibokning wanted to ensure device security without spending additional resources in maintenance. Taxibokning was looking for a solution that would help secure its tablets deployed in lobbies and allow it to have an effective new channel of sales. Initially, Taxibokning was looking at including kiosk functionality directly into its app, but needed some additional features which was not cost-effective. Subsequently, it started to look for several third party kiosk apps. Taxibokning tried out many kiosk applications that offered basic functionalities, but majority of kiosk applications did not provide comprehensive lockdown features like SureLock. Most of them also lacked key features which only SureLock offered. 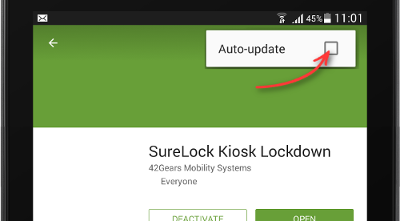 42Gears SureLock had all the features it needed to lockdown, restart and control the Android tablets they use. With SureLock, Taxibokning was able to quickly set up a kiosk with its taxi booking app. Taxibokning was able to convert a tablet into a kiosk that was tamper proof, required minimum supervision and would run the app smoothly. With live testing constantly revealing new situations, Taxibokning needed continuous instructions and support which the technical team of 42Gears were able to provide without fail. SureLock solved the problem Taxibokning was facing as it covered all the features it needed and with the number of deployed tablets, it was cheaper for Taxibokning to use SureLock than to develop all the features by its own. With kiosks for taxi booking, Taxibokning was able to place its solution right where the business is.